Boris (Homepage) wrote: Excellent ! 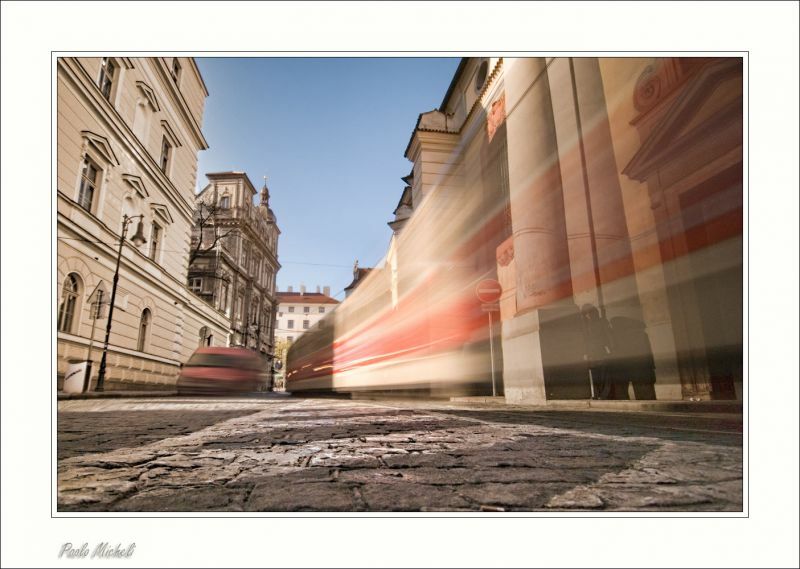 Arnd (Homepage) wrote: Really nice use of motion blurs. Your low point of view is well chosen. Andrés (Homepage) wrote: Very cool effect. I seems that you were right by the tram when it passed. excellent shot. Frank de Jol (Homepage) wrote: Excellent shot ! Mike (Homepage) wrote: That motion blur is great! The processing into the shadows and the colors are very well done. Very enjoyable image. Frida (Homepage) wrote: Great sense of motion and super pov. Andy (Homepage) wrote: Wow amazing sense of motion! Really cool!! Cees (Homepage) wrote: this picture has again the wow-factor! I really like it! Great work!